Kate Middleton was not born into royalty, but ended up marrying into the most powerful monarchy in the world. Her husband is second in line to the British throne, which makes her a queen in waiting. Many girls would love to live this fairytale. Get married to a prince, have little princes and princesses and live happily ever after in royalty. Seems like a great life to have, but having grown up nowhere near royalty, the lifestyle change must have been difficult for Kate. Her life took an about turn. One day she was living a normal life then the next she had billions of people worldwide watching her, waiting to see how the new royal was going to fit into Britain’s Royal family. The Royal Family is known for following a set of stringent rules that has managed to keep their appearances in public look nothing short of what is expected from royals, and how they dress is particularly important. You’d be hard pressed to find a royal with a thread out of place, or dressed in something that’s anything less than sophisticated and respectable. Keeping up with the royal style was definitely something Kate had to get used to. She must have had lots of people waiting to see her slip up, but the Duchess of Cambridge has never disappointed right from the moment she rocked her gorgeous wedding dress while getting married to Prince William. Kate has ever since rocked flawless pieces, each more fitting than the last. What’s even more interesting is that on several occasions, the Duchess has wore outfits that are quite similar to those that her late mother-in-law Princess Diana used to wear. It might sound coincidental, but it’s hard to write it off like that when even some of the occasions when she wore outfits that channelled Princess Diana matched the occasions Diana had worn them to. Below, we’ll look at 3 times when Kate channeled Diana and compare exactly how their outfits matched. One of the most popular shots of the late Princess in polka dots is after the birth of her first born, Prince William. She wore a polka dotted dress while she and Prince Charles addressed the press a day after the birth of their first born. 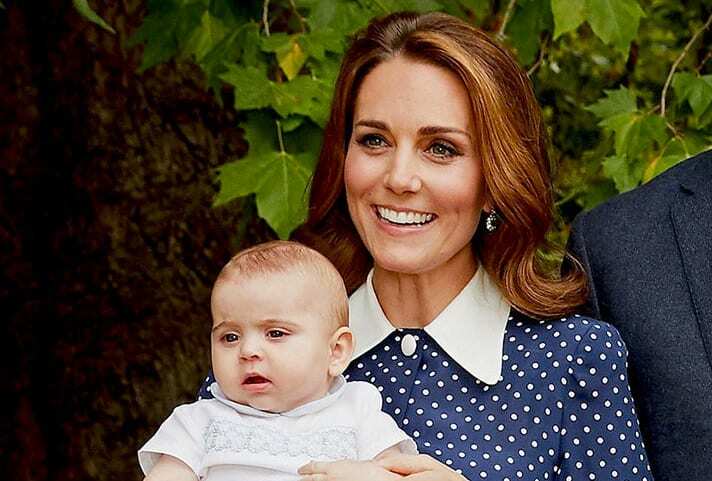 Fast forward to 2013 when Kate wore the same polka dotted look while she and Prince William presented Prince George on the day after his birth. Another polka dot outfit which Kate wore that brought Diana to mind was a white and black polka dot dress that she wore to the Warner Bros Studios in London back in 2013. Diana had worn a similar dress in 1987 to a polo match. On yet another post-pregnancy after birth occasion, Kate pulled a Diana yet again. After giving birth to Prince Harry in 1984, Diana left St. Mary’s Hospital in a red, white collared dress. In 2018, Kate wore a red dress with a white lace collar as she left the same hospital after the birth of her third born Prince Louis. The black dress that Kate wore at the Sun Military Awards in 2011 had a lot in common with the black dress that Princess Diana wore to her first public event alongside Prince Charles in 1981 at London’s Goldsmith’s Hall.